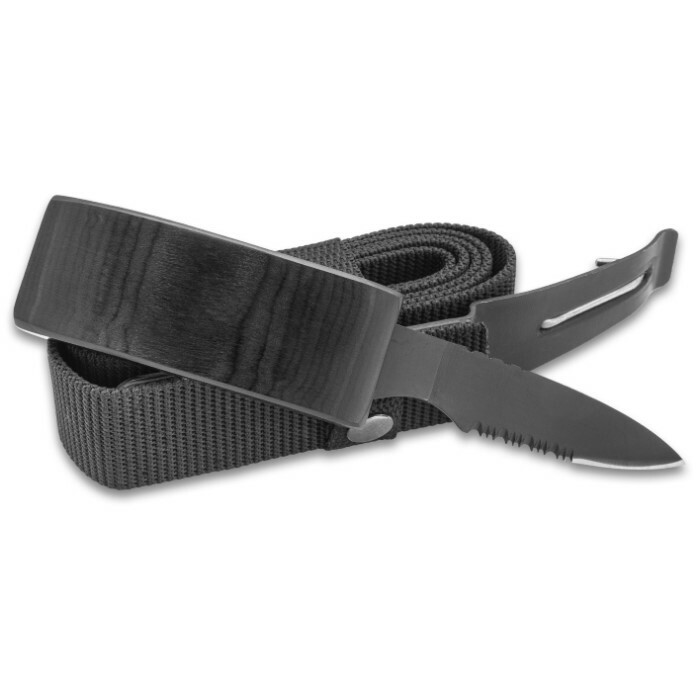 Ridge Runner Black Belt With Hidden Knife - Adjustable Canvas Belt, TPU Buckle, Black Stainless Steel Partially Serrated Blade, | BUDK.com - Knives & Swords At The Lowest Prices! 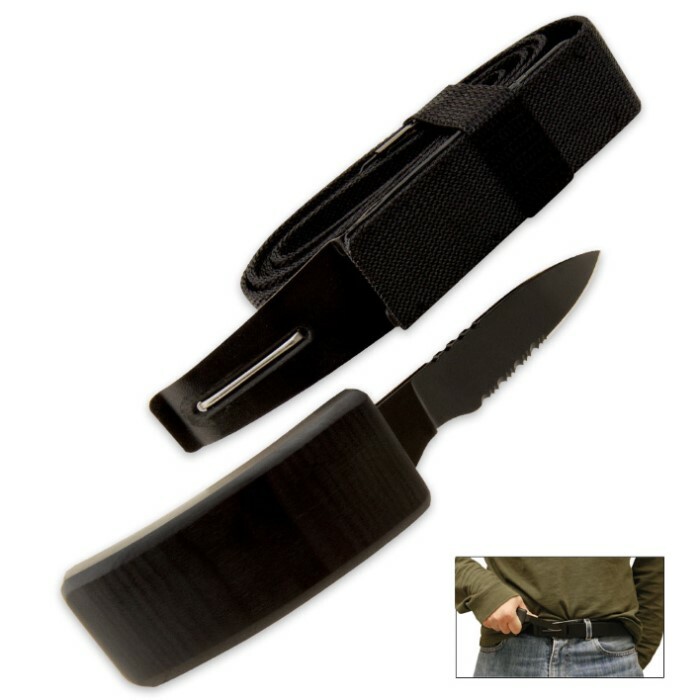 Sleek, stylish self-defense discreetly at your finger tips! 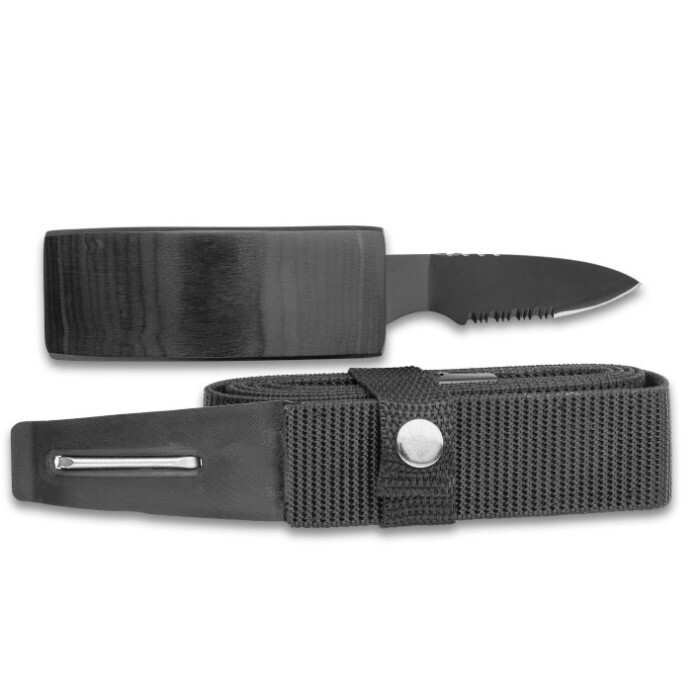 Our Black Belt With Hidden Knife is your own secret weapon to defend yourself if you are ever in a situation where you need to do so. 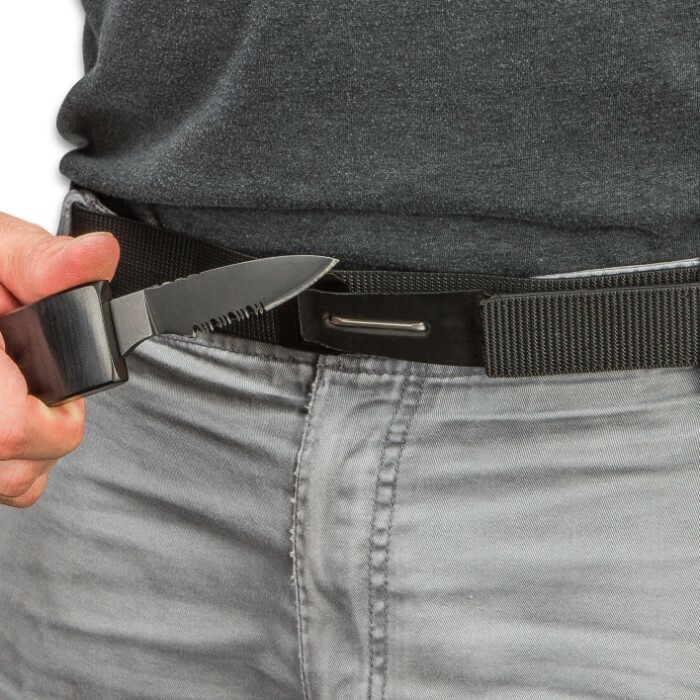 The innocent-looking 3 3/4" heavy-duty TPU buckle hides a 3 1/2" stainless steel blade. The non-reflective partially serrated blade is full-tang and razor-sharp. It fits securely into the buckle but can be quickly deployed at a moment's notice. 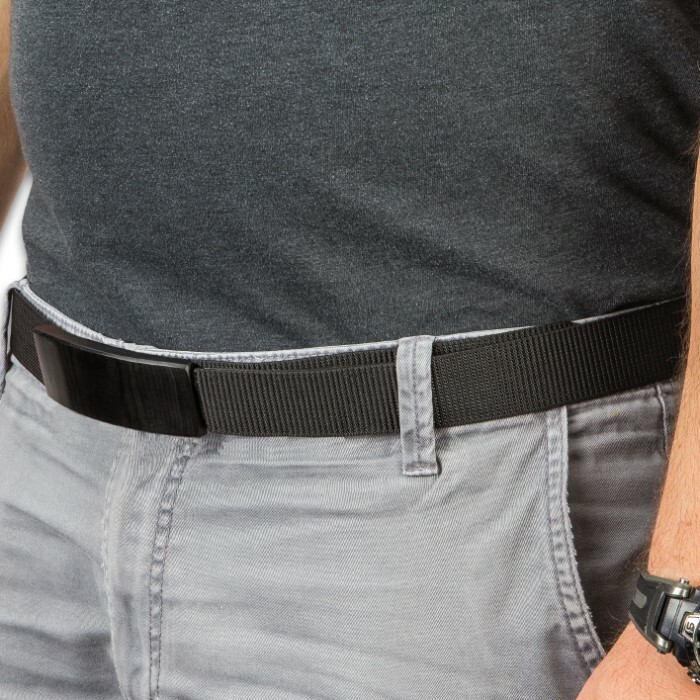 The adjustable, sturdy black canvas belt is 53 1/2" in overall length so that it will fit most adults.